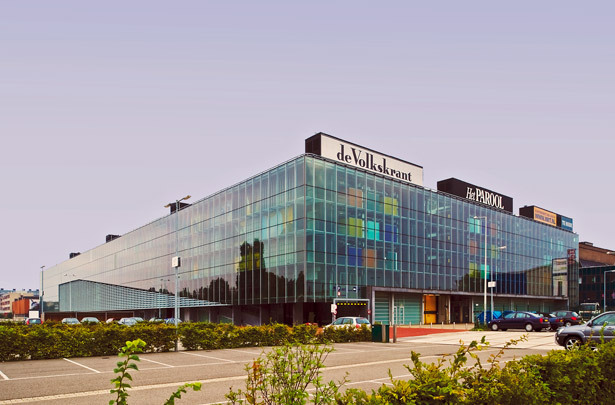 This large mixed-use commercial building occupies a central position in the soon-to-be-developed industrial estate of Oostenburgereiland. Its size (190 m long, 90 m wide, 19 m high), the no-nonsense detailing in concrete, steel and glass and the taut rectangular grid of internal streets give it a typical industrial resonance. The first two levels contain workrooms and a depot for the city sanitation department. Above these a second ground level was added with two large internal streets crossed by a number of smaller ones. The head end houses such central facilities as meeting rooms and an auditorium. The facade has a double glass skin given over to advertising space for the occupying firms.